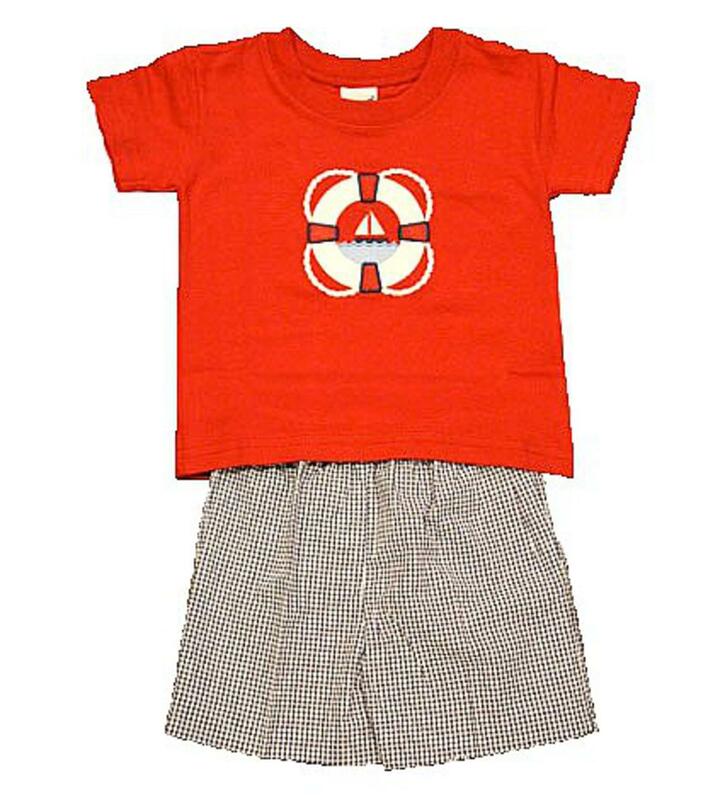 This short set is a Fourth of July favorite on little boys as well as being able to wear all summer long. The red short sleeve t-shirt has a sailboat inside a life saver appliqued on the chest. The neckline is stretchy to get over a childs head easily. There is matching navy and white check shorts that pull on with an elastic waist. This adorable outfit is 100% cotton.